Walkway winds through a lava flow in eastern Idaho called "Hell's Half Acre." Located along I15 just south of Idaho Falls, there are nature walks beginning at rest stops on both sides of the freeway. 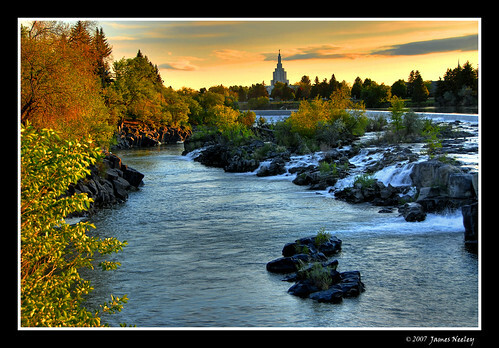 Morning light streams across the Snake River and falls in Idaho Falls, Idaho.